If you have hoarding disorder, you have an extremely difficult time parting ways with possessions because you feel like you need to save them. You may feel anxiety or distress when you think about getting rid of these possessions and your hoarding may affect your everyday life. What are the symptoms of this disorder, how is it connected with obsessive-compulsive disorder (OCD), and how is it treated? Hoarding Disorder is a psychiatric disorder which involves the accumulation of personal possessions to the point at which these accumulations interfere with your quality of life to a significant degree. The acquisition of "things" and failure to throw away unneeded objects can result in only mild symptoms of a cluttered home to a home which is too unsanitary for healthy living. At the current time, it's thought that between two and six percent of the population is living with some degree of hoarding disorder. Hoarding disorder is in a category called "Obsessive-Compulsive and Related Disorders" in the current Diagnostic and Statistical Manual-5 (DSM-5) because it is related to obsessive-compulsive disorder (OCD) and has many of the same symptoms. About 15 percent of people with OCD report compulsive hoarding as their primary problem. While it usually begins in childhood, hoarding often goes unnoticed until adulthood. People who hoard often have relatives who have also engaged in compulsive hoarding. Despite the onset of behaviors in adolescence, many people are age 50 or older before they are seen for treatment. Compulsive shopping disorder (or compulsive buying disorder) is not listed separately as a condition, it's thought that it may be related to obsessive-compulsive disorder, and impulse disorder, or a behavioral addiction. 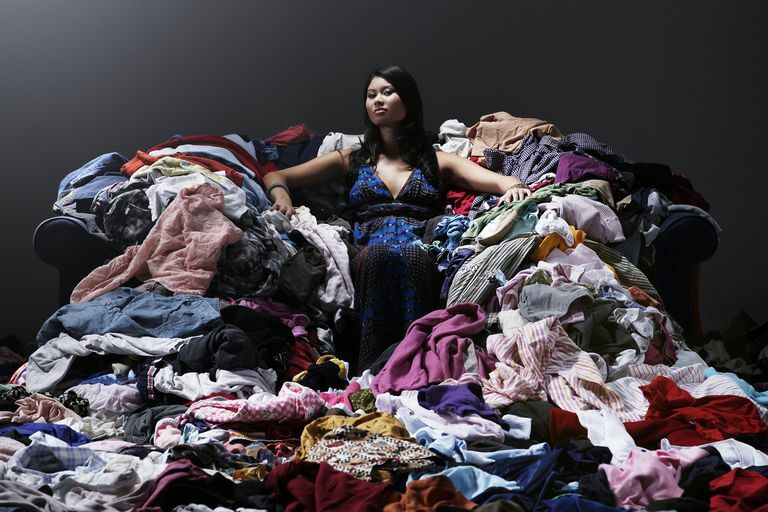 Not everyone who appears to suffer from hoarding disorder has a diagnosable condition. Here are some ideas on how to distinguish a pack rat from a hoarder. Hoarding disorder can range from mild to serious. In severe cases, your home may be so full of the items you've been hoarding that it's difficult to get around, or it may even virtually uninhabitable. If you hoard animals, your home may be unsanitary because of the number of animals living there and the impossibility of keeping up with all of them. With mild cases of hoarding, you may notice little impact on your life. If you have hoarding disorder, you may save items because you are afraid you will need them and not have them when needed; you believe the items may eventually become valuable; you are afraid of running out of something; you have sentimental attachment to the items; or it may make you feel safe to have many items, especially particular ones. Most people with hoarding disorder do not have insight into how debilitating their problem may be. They may not see their hoarding as an issue or realize how irrational it is.This can make treating them challenging. However, with treatment, sufferers of hoarding disorder can significantly improve their lives and understand their behavior. Hoarding does not seem to respond as well to medications such as Anafranil (clomipramine) or Paxil (paroxetine) as other forms of OCD. A cognitive behavioral therapy (CBT) approach may be more effective, as it specifically targets the harmful thoughts that are often present among people who hoard. Cath, D., Nizar, K., Boomsma, D., and C. Mathews. Age-Specific Prevalence of Hoarding and Obsessive Compulsive Disorder: A Population-Based Study. American Journal of Geriatric Psychiatry. 2017. 25(3):245-255. McKay, D. Cognitive-Behavioral Treatment of Hoarding in Youth: A Case Illustration. Journal of Clinical Psychology. 2016. 72(11):1209-1218. Schwartzman, C., Boisseau, C., Sibrava, N. et al. Symptom Subtype and Quality of Life in Obsessive-Compulsive Disorder. Psychiatry Research. 2017. 249:307-310. Are Tourette's Syndrome and Obsessive-Compulsive Disorder Related?